ePublishing Knowledge BaseePublishing Knowledge BaseePublishing Knowledge Base Common QuestionsHow do I get my site listed on Google News? 1. 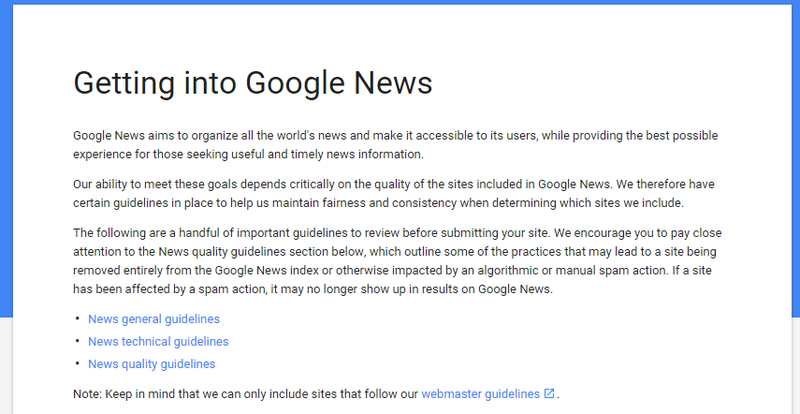 Follow Google News requirements to get listed. 2. Google News approves your site for inclusion. 3. Sign-in to your Search Console in Google to add your Google News sitemap to Google Webmaster tools. Google says it does not favor websites with news sitemaps and regardless of whether you have one, it will crawl your site for the latest articles. 3.1. Click Add/Test sitemap in the top-right corner. Zoom: Click Add/Test sitemap in the top-right corner. This /news_sitemap.xmlis available for all sites, by default. The news sitemap conforms to Google News requirements to only include article / blog post content submitted in the past seven (7) days. 3.3. Submit sitemap and Test to verify. 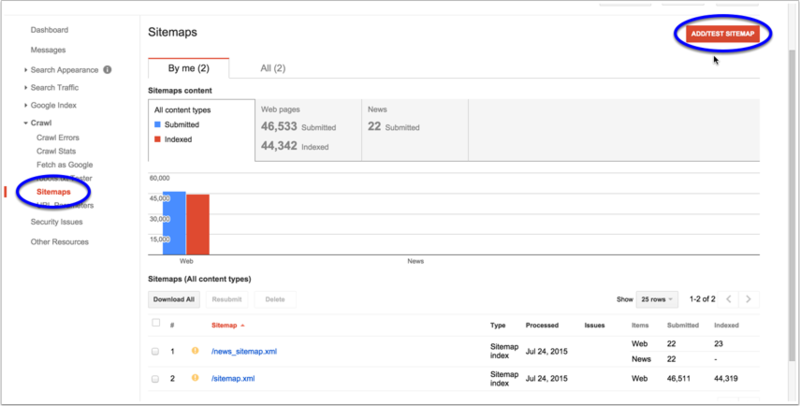 Learn more about managing and submitting sitemaps to here: https://support.google.com/webmasters/answer/183669. 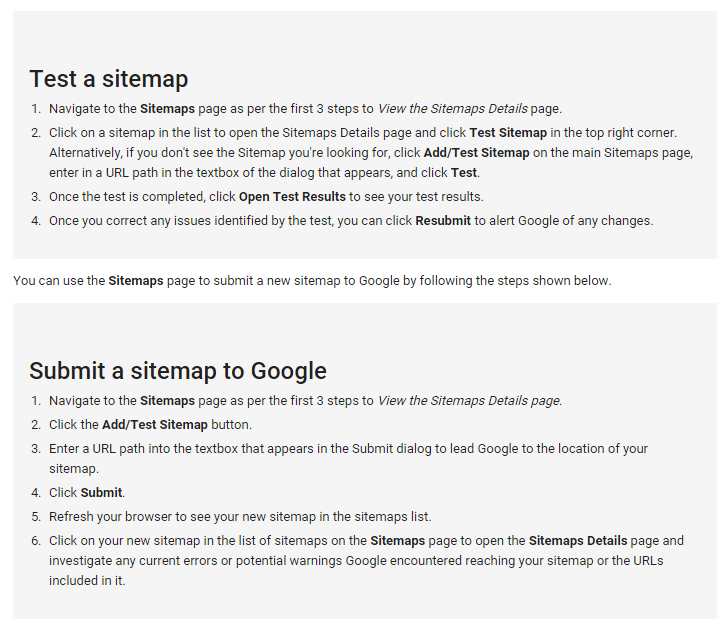 The following steps are from Google and apply in general to submitting and testing sitemaps. Click through the previous link to get more information. 4. Finally, routinely check Google Webmaster. It can take time for Google to process your sitemap. Prev: I created a new edition of my publication. Why can't I see it on the site? Next: Which email clients support responsive newsletters sent by the website?